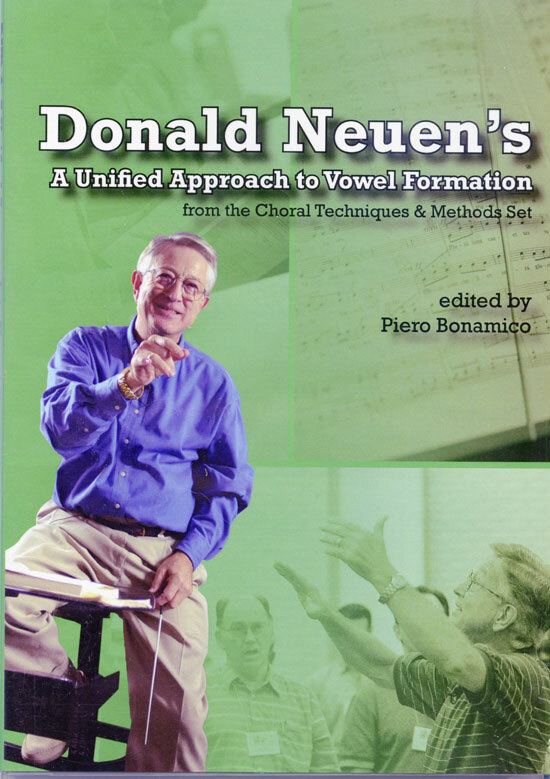 Adding warmth of "oo" to "ee"
In the third DVD in the 'Choral Techniques and Methods Series,' Donald Neuen starts a discussion of language and sound. He then continues with a series of concepts and exercises that will help your choir master the essential components of singing. You learn how to help your singers become partners in the pursuit of the highest standards of artistic excellence, the standards for which the greatest performing artists strive.